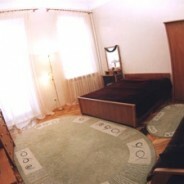 1st class 1-room Kiev apartment on 8 Mechnikova Street - just 5 minutes walk to the main street of Kiev downtown - Khreschatyk (Bessarabsky Market). 1 min walk to the nearest subway station "Klovskaya". Minutes away from several Restaurants, casinos, cafes and Internet cafe. 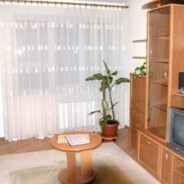 Very nice 1-bedroom apartment in Kiev downtown on 111/113 Velyka Vasylkivska Str. (old name - Krasnoarmeyskaya). close to all major attractions of the capital of Ukraine. Classic design. Bedroom and living room. TV-set in each room. Large 1-bedroom apartment with high ceilings. Located in Kiev downtown on on recently renamed 111/113 Velyka Vasylkivska Str. 2nd floor with a balcony. A perfect place for a family. 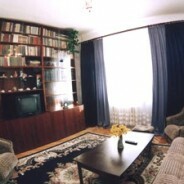 Air-conditioner and TV-set in each room. Business-class 2-bedroom apartment in Kiev downtown at 122 Gor'kogo Street. Very good location, new furniture and accessories. Close to all major attractions of the capital of Ukraine. 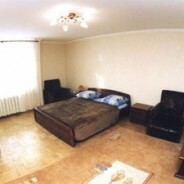 Large 1-room apartment with an additional dining-room located in Kiev downtown on Gor'kogo Street. A perfect place for a family of 2 or 3. New furniture, Bay view from the window, Air-conditioner and new TV-set. 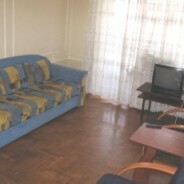 Spacious 1-bedroom apartment located in Kiev downtown on Gor'kogo Street. Decorated with paintings with amber. Large corridor with a window. The rooms are at opposite sides of corridor. 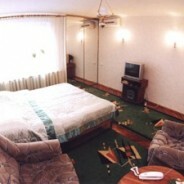 If you are traveling alone then our Kiev Studio apartments are right for you! 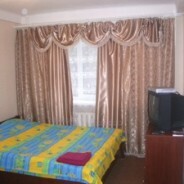 Here is a good example - spacious well-equipped apartment on 83 Bozhenko Str close to Khreschatyk Str., 24/7 Internet-cafe, bars and restaurants as well as to many major attractions of Kiev, Ukraine.